The personal injury lawyers of Worby Groner Edelman, LLP, have assisted countless clients in the greater White Plains area with their cases. Our legal team is focused on assisting auto accident victims and the loved ones of victims. 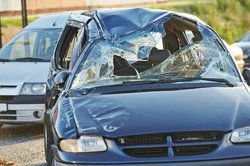 Serious auto accidents can cause lasting injuries, and skilled lawyers are necessary to receive just compensation from irresponsible or dangerous drivers on the road. We would like to look at some auto accident statistics from the New York State Department of Motor Vehicles. These may help put accident cases into better perspective. In 2013 there were a total of 304,804 automotive crashes in the state of New York. Of these, there were 1,109 fatal auto accidents, 124,505 injury auto accidents, and 179,190 auto accidents that resulted in property damage only. Speeding is one of the major causes of many auto accidents in the United States. In 2013, there was a total of 29,178 auto accidents that occurred that were the result of speeding. Of this number, 318 fatal accidents were related to speeding. Speeding also caused 12,977 injury accidents and 15,883 motor vehicle collisions that resulted in property damage only. Another common cause of auto accidents nationwide is drinking and driving. Drunk drivers were involved in 8,368 auto accidents in New York in 2013. Of this number, there were 358 fatal auto accidents involving drunk drivers, as well as 4,248 injury accidents and 3,762 collisions that resulted in property damage only. Motorcyclists are especially vulnerable to injury simply given the nature of the vehicles they drive. In 2013, motorcycles were involved in a total of 5,190 crashes,164 of which were fatal accidents. There were 4,387 injury accidents involving motorcyclists and 639 accidents that resulted in property damage only. Given the tragedy earlier this year involving actor Tracy Morgan and his late friend James McNair, additional attention has been turned on trucking and truckers and the accidents they're involved in. In 2013, there were a total of 11,452 accidents that involved large trucks. Of this number, 94 of the accidents were fatal, 3,828 resulted in injury, and 7,530 only resulted in property damage. Given all of the possible causes of auto accidents, it's important that you have skilled lawyers on your side to hold negligent motorists and other parties accountable. We will fight for you to get the compensation that you deserve. For more information about auto accident lawsuits and what our legal team can do for you, be sure to contact our personal injury attorneys today. The lawyers of Worby Groner Edelman, LLP will fight diligently for you and your loved ones and hold the negligent party accountable for their actions.